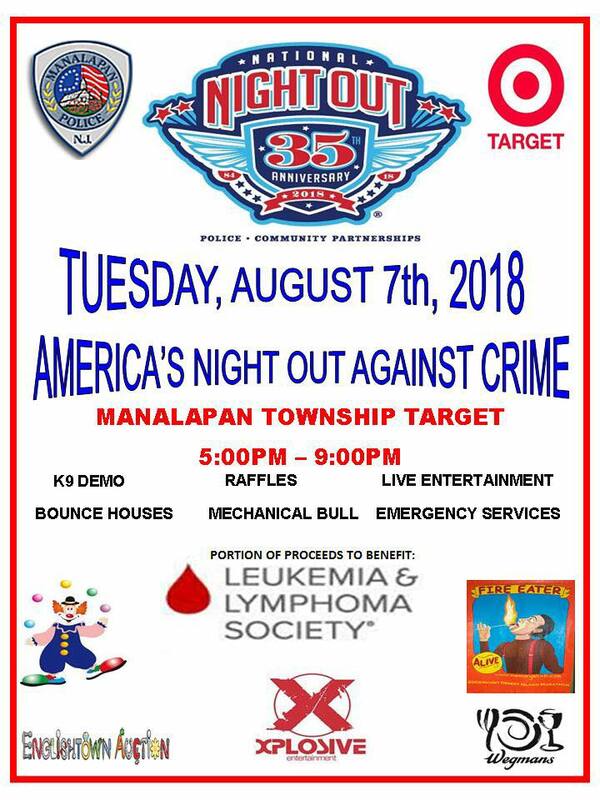 On Tuesday, August 7, 2018 between the hours of 5:00 pm and 9:00 pm, the Manalapan Police Department in conjunction with Target will be hosting National Night Out. National Night Out is an annual event that is designed to heighten crime and drug prevention awareness, generate support for, and participation in, local anti-crime programs, strengthen neighborhood spirit and police-community partnerships. National Night Out Manalapan will be held within the Target Department Store parking lot, located at #55 US Highway 9 South in Manalapan Township. Please come out and join us!